There are several different packages available to you. With every option, you will get FDA approved, cosmetic grade paints. This is not your average face painting. You will receive custom, quality designs catered to your event, and always a modest and professional appearance. Professional quality designs. Perfect for boys and girls, children and adults! If you are expecting more that 25 kids, please contact me for an estimate. Corporate/large event pricing below. Glitter Tattoos last 3-7 days. Ideal for summer parties and pool parties. I have over 100 different designs, and I can customize any design for your party. *add glitter tattoos to any other package for just $10 more per hour. 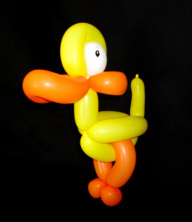 Balloon animals are a favorite with kids, and they make any party or event come to life! *If you would like to have balloons at your event but have limited time, a variety of my most popular balloon animals can be pre-made and brought to the event. This is a good choice when you also have face painting and more than 15 kids. 20 pre-made balloon animals for only $30. If you have limited time but would rather have a live balloon twister, arrangements can also be made to have a separate entertainer or multiple twisters. Prices will vary based on availability. We'll provide unlimited Face Painting, Glitter Tattoos, and/or balloons for your guests. More than one entertainer can be provided to cut down on wait time and provide variety to you guests. For more frequently asked questions about corporate pricing, please click here. Kit Kat the Clown- Corporate pricing see below. There is no other princess party like ours. *Prices will apply to the princesses listed below as well. continue scrolling. *Anna will apply frozen tattoos. (60 minute party includes coronation, singing time, picture time and snowflake tattoos. See Elsa page for details. (60 minute party includes coronation, singing time, picture time and performance of Song. Each child will also receive a special "flash tattoo". coronation ceremony, singing time with both characters, and plenty of time for pictures. Live professional performance from your princess of choice, fun jewelry tattoos for up to 12, coronation ceremony, singing and story time, and plenty of time for pictures. Bring a fun element to your birthday party or event! 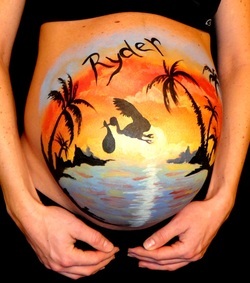 *Parties are based on # of guests you would like to have face painting and balloon animals for. Please keep in mind, adults often want to participate, as well as older children. Please plan on booking enough time to accommodate all of your guests. Most weekend parties are booked back to back, and unfortunately, I am unable to stay late. If you would like to have 2 entertainers at your party to cut down on time, arrangements can be made to have a separate balloon artist or glitter tattoo artist. Please let Katrina know when booking. *Corporate Pricing for Kit Kat the Clown is $100 per hour. 2 hour minimum. This includes unlimited face painting and balloons or glitter tattoos while I am at your event or fundraiser. Please choose 2 of the 3 activities. *Please inquire with Katrina about pricing for a professional photo shoot with black backdrop. You will receive a photo cd with edited, ready to print pictures. * 2 activites, (face painting and glitter tattoos or face painting and balloon animals), by one artist, not in character, will be $100 for the first hour and $75 for each additional hour. *Your entertainer needs to be placed in the shade for hot summer events, and inside for cold weather/winter events. If your event requires a canopy/ EZup, we are happy to provide one for $25. *A 30% deposit will be required to reserve a date. A paypal invoice will be sent to your requested email address. Deposits may be transferred to another date up to 7 days before the scheduled event. *Please note, this pricing is for Salt Lake County. A small travel fee may apply to addresses outside of the area.